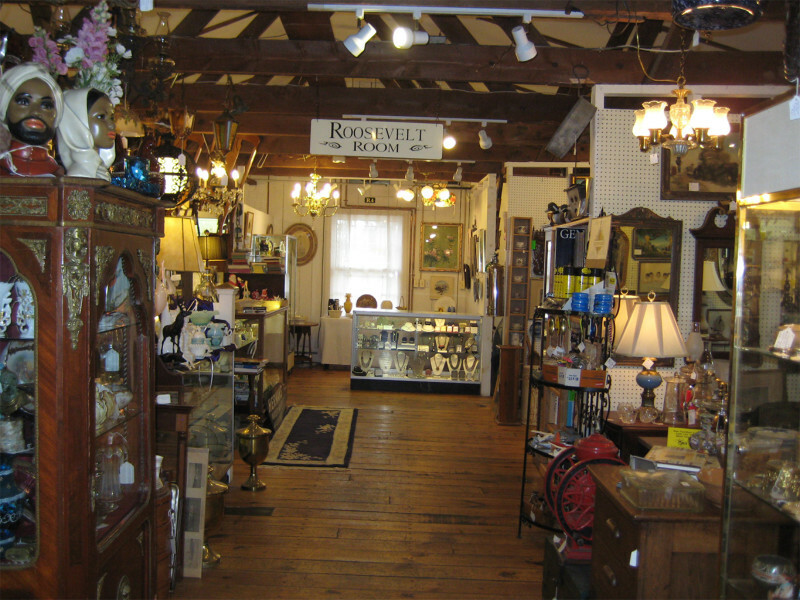 There is history to more than just the antiques and collectibles offered at the Hyde park Antiques Center The buildings house over 9,500 square feet of antigue vendor area. The original core building at this site dates back to the late 1700's where it was operated for years as a Stage Stop on the Post Road between New York and Albany, New York. Over the years it earned the added distinction of being the headquarters for President Roosevelt's secret service contingent.